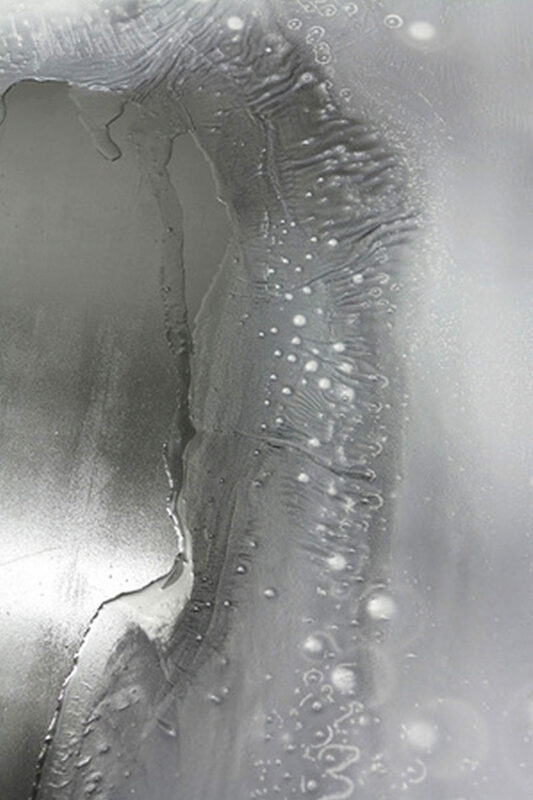 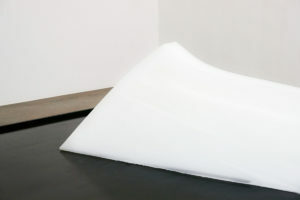 A paraffin sculpture is placed on a heated plate. 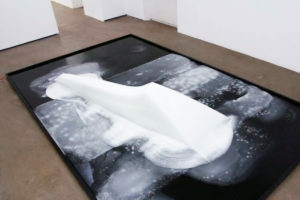 During the exhibition time, from vernissage to finissage, the paraffin melted and filled the black frame of the installation. The former shape smoothly changed and visualizes the transformation of volume into surface as well as time itself. ‘Aspect ratio’ as a term of media language displays a format‘s ratio between width and height, volume and surface.